The second of the planned five-film Fantastic Beasts series is marching on, with Fantastic Beasts: The Crimes of Grindelwald hitting theaters on November 16. The first trailer for the film has finally been released, and it offers a peek at the adventure that lies ahead for Newt Scamander and his magical menagerie. The first, official trailer for the Fantastic Beasts sequel was released March 13, four months after the film’s official title was first announced. The trailer offers the first footage of Jude Law as the young Albus Dumbledore, the beloved Hogwarts professor from the Harry Potter franchise. The trailer makes it clear that Dark wizard Gellert Grindelwald will throw the world of magic into chaos, and send the colorful cast of characters introduced in Fantastic Beasts into danger once again. 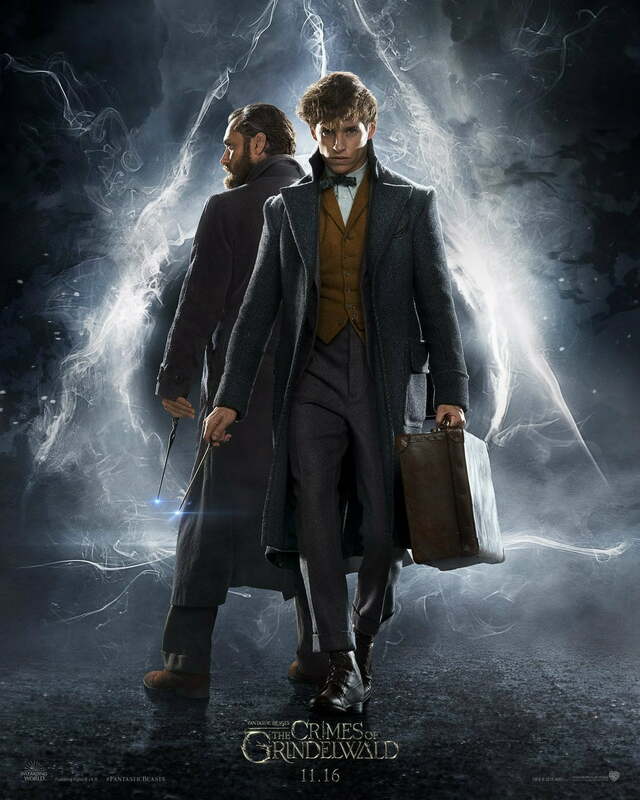 The first film introduced Johnny Depp as Grindelwald, along with fellow returning cast members Eddie Redmayne as Scamander, Katherine Waterston as Tina Goldstein, Dan Fogler as Jacob Kowalski, Alison Sudol as Queenie Goldstein, Ezra Miller as Credence Barebone, and Carmen Ejogo as Seraphina Picquery. An official poster for the film was released along with the trailer. The Crimes of Grindelwald is expected to feature Grindelwald on the loose again, with plans to have pure-blood wizards subjugate no-majs (the American term for muggle). Meanwhile, Dumbledore will be hard at work trying to stop his one-time friend. Depp and Law are among the cast members featured in a photo that debuted on the Fantastic Beasts Twitter account in November 2017. New cast members joining the franchise in The Crimes of Grindelwald include Avengers: Age of Ultron actress Claudia Kim as Maledictus, X-Men: First Class actress Zoe Kravitz as Leta Lestrange, and Green Room actor Callum Turner as Theseus Scamander. Like the first film, the screenplay for The Crimes of Grindelwald was penned by Harry Potter creator J.K. Rowling, who also serves as a producer on the film with David Heyman, Steve Kloves, and Lionel Wigram. David Yates is back again to direct after helming Fantastic Beasts and Where to Find Them. Fantastic Beasts: The Crimes of Grindelwald is scheduled to arrive in theaters on November 16. Updated March 13: Added the first trailer for the sequel.